Destination Yarn Silver Shiny DK Electric Storm - Yarnover Truck, Inc.
Electric Storm from indie dyer Destination Yarn in Silver Shiny DK, a heavier weight yarn with sparkles. 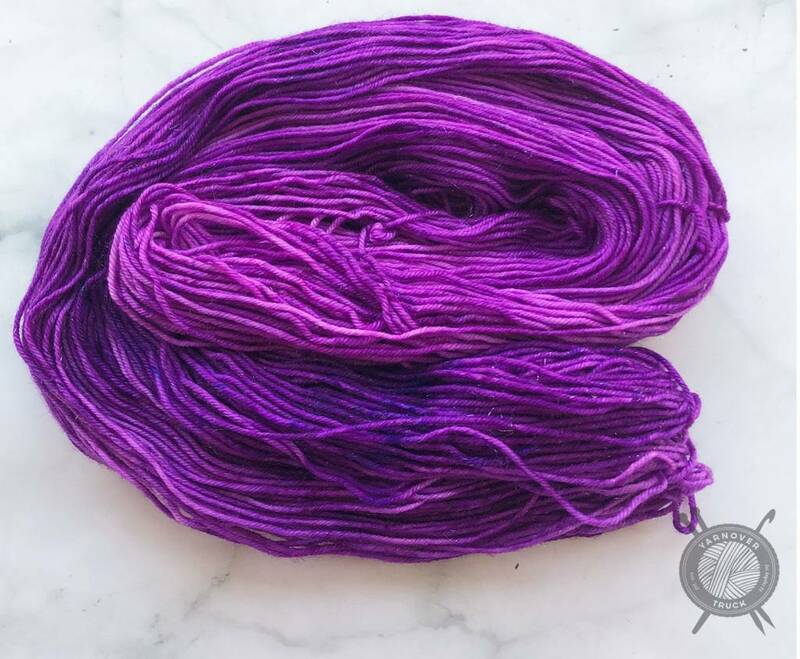 This blend of merino, nylon and stellina provides a wonderful workhorse yarn that is good for a wide variety of projects. It will give wonderful drape and a little bit of sparkle! 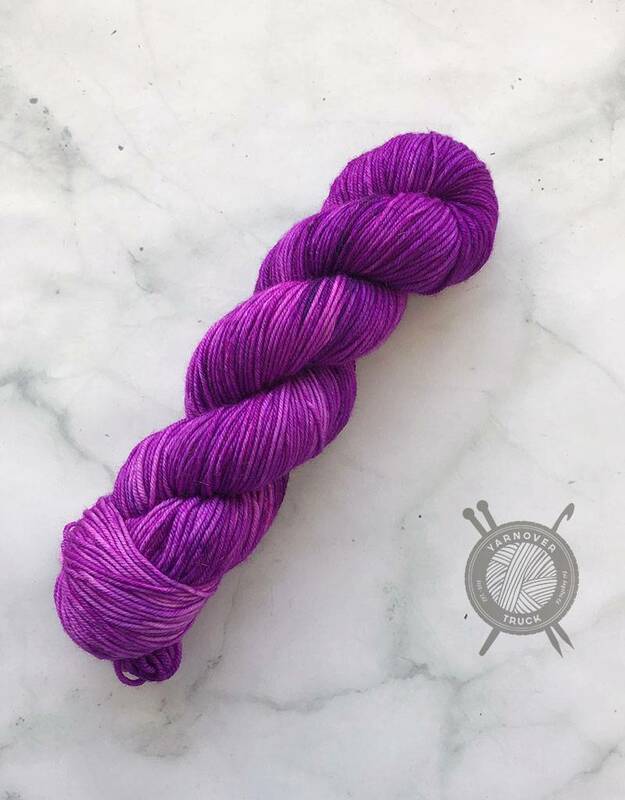 Dyed the color of the flashes of bright purple in the sky during an electric storm, this colorway is a perfect, vibrant purple/pink. 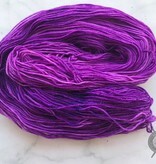 It is a bright, party shade with a ton of personality. It coordinates well with Northern Lights too.